Home » Events » Spring Break Begins! Come experience the Spring Break Capital of the World! 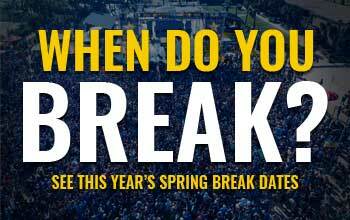 Throughout the month of March, the beach is one massive college party you won’t want to miss out on. Stay tuned for more detailed updates on specific parties and events happening throughout Spring Break 2018 in Panama City Beach!